Manufacturing in Mexico has become the option of choice for companies that are seeking to cut costs in order to sell competitively in the world’s largest consumer market, North America. Firms that are manufacturing in Mexico can take advantage of low-costs in these two critical areas. Although producing a product in Asia may in some ways be attractive, such as the cost of labor, any cost savings that are achieved there can be quickly nullified by the cost of transoceanic shipping. Additionally, labor costs in China have risen in recent years. North American companies that are manufacturing in Mexico enjoy the benefits of a supply chain that it is much shorter than it would be from anywhere in the world. For example, rush orders from a manufacturer based in the Far East would need to be filled using rush delivery by air. From Mexico, such rush shipments could be delivered by cargo truck. According to Industry Week magazine, Chinese entities are responsible for 80% of all intellectual property stolen from American companies. Companies that are manufacturing in Mexico do so under IP laws that are similar to those found in the United States and Canada. Companies that are manufacturing in Mexico benefit from the fact that the country has twelve free trade agreements that govern doing duty-free business with 45 nations. These accords include the North American Free Trade Agreement (NAFTA), as well as similar arrangements with the countries of the European Union and Japan. Manufacturing in Mexico by foreign firms is not a new proposition. The first maquiladoras were set up in the country in the 1960s. What started out as a workforce capable of only simple assembly now has the ability to perform complex tasks in the automotive, aerospace, electronics, medical device and other industries. Mexico’s labor laws are similar in scope to those found in the United States and in Canada. The country has a maximum workweek of 48 hours. This is in contrast with Asian manufacturers whose workers can put in up to 60 hours during the same period. Mexico has instituted strict labor safety regulations and practices, as well as laws that prohibit child labor. Companies that are manufacturing in Mexico use safe materials in their production. There are strict quality controls in place for such items in the maquiladora industry. 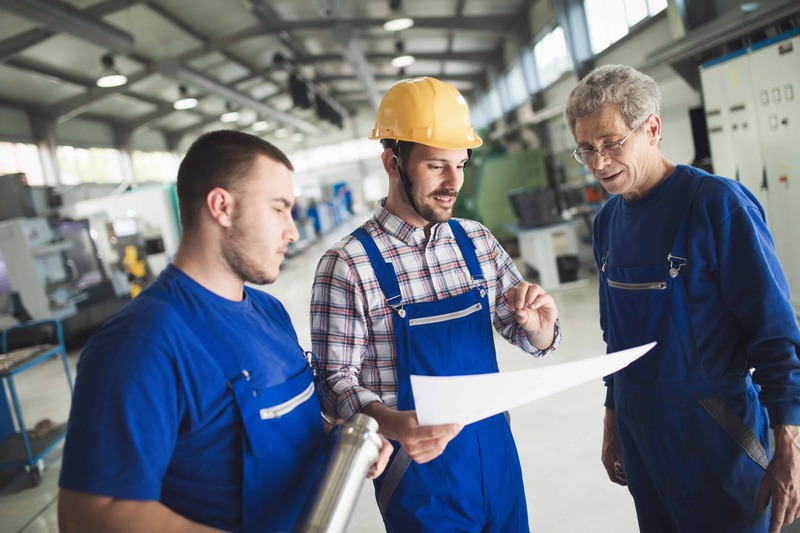 When considering manufacturing in Mexico options, companies’ decision-makers should choose the one that will optimize their competitiveness and profitability, as well as the one which fits best within the framework of their corporate culture. After having been the world’s “shop floor” for the better part of the last decade, Asia’s attractiveness vis-à-vis manufacturing foreign direct investment (FDI) has waned somewhat. This is due mainly to escalating Asian wages, fewer economic incentives granted to companies that produce for export, volatile transportation costs and the edge that geographic proximity that is enjoyed by those who situate production facilities on the doorstep of the United States and Canada. In direct terms, manufacturing in Mexico is once again in vogue. There are essentially three most often utilized ways to begin as a company with an interest in manufacturing in Mexico.Two of the ways that companies can begin to represent the lowest and highest risk roads to start-up Mexican production. 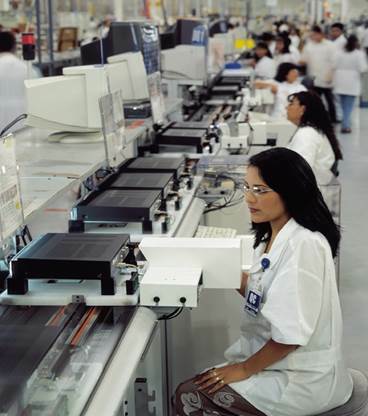 On the low end of the risk scale is sub-contract manufacturing in Mexico. Sub-contract manufacturing entails the delegation of the build or assembly of a product to a third-party. Typically the party seeking to have products manufactured in Mexico by a sub-contract producer will provide the drawings, raw materials and will provide the directions as to how the item, or items, will be built to spec. There are minimum capital and legal risks involved with this option. Certain critical things, however, such as product quality control and delivery schedules are in the hands of others. 2. Wholly-owned, foreign subsidiary manufacturing in Mexico under the IMMEX program. The purpose of the company, and a myriad of other details. Once all the Mexican legal infrastructure is set up and tax requirements are met to prepare to begin manufacturing in Mexico, companies must go about seeking and acquiring all of the expertise needed to conduct not only their core manufacturing functions, but also to run the G & A side of the business. This means recruiting and contracting people that are competent in Mexican human resources management, preparing a payroll and administering benefits in Mexico, tending to the intricacies of Mexican Customs and environmental law compliance, as well as other very important functions that are critical to operating in Mexico under the IMMEX program. All risks related to manufacturing in Mexico fall squarely on the shoulders of the company that petitioned for and set up a Mexican wholly-owned subsidiary. 3. The client of the shelter company option. The third most common option pursued to begin manufacturing in Mexico is the shelter option. Under this business model, companies typically set up and begin production in the country under a license held by a “shelter company.” Clients of shelter companies have no legal presence in Mexico and, therefore, are not directly legally liable for issues related to things like Mexican labor, customs, and environmental law. As the party assuming the first line of risk in these areas, shelter companies in Mexico provide services aimed at ensuring their clients’ full compliance. In a nutshell, companies that begin manufacturing in Mexico the Tecma Group of Companies Mexico Shelter Manufacturing Partnership (MSMP) can concentrate on their core manufacturing competencies, while the Tecma Group of Companies facilitates manufacturing in Mexico by handling the firms’ human resources, customs and logistics, payroll and taxes, facilities management and other non-core functions. The Tecma Group has been helping companies to access the benefits of manufacturing in Mexico for more than thirty years. Those manufacturers that wish to operate in Mexico at reduced cost and risk should contact the Tecma Group of Companies.